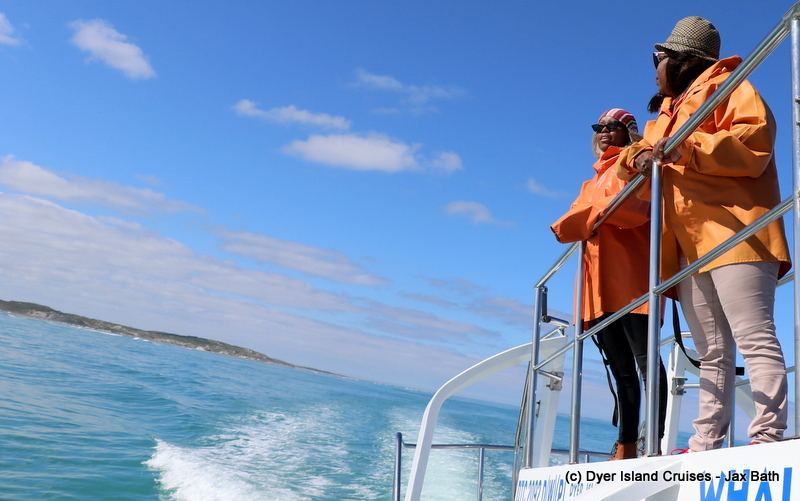 We had lots of fun in the sun today, enjoying a beautiful tour and spotting Sharks, penguins, seals and a host of smaller species. We set out on trusty Whale Whisperer, making a b-line for Slashfin in the hopes of catching up with them and spotting a Copper Shark. 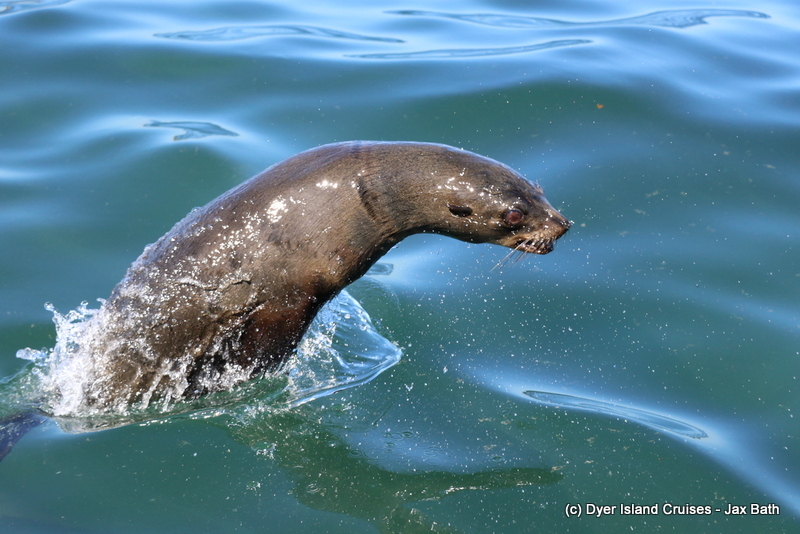 We were in luck, with a curious animal popping up in front of the boat, to the delight of all aboard. We then cruised through shallow water in the hopes of finding some interesting sights. We did, in the form of many Blue Bottles. Blue Bottles are also known as the Portuguese Man Of War and are said to be brought in by high seas and strong winds, we’ve not had much of either recently, but perhaps a current as brought them through. A Blue Bottle is not one creature but rather a colony of organisms who have specialised in living together. Where there is one, there is more often than not more and we spotted quite a few as we moved through the turquoise water. We made our way over to our island systems next, picking up some kelp along the way. 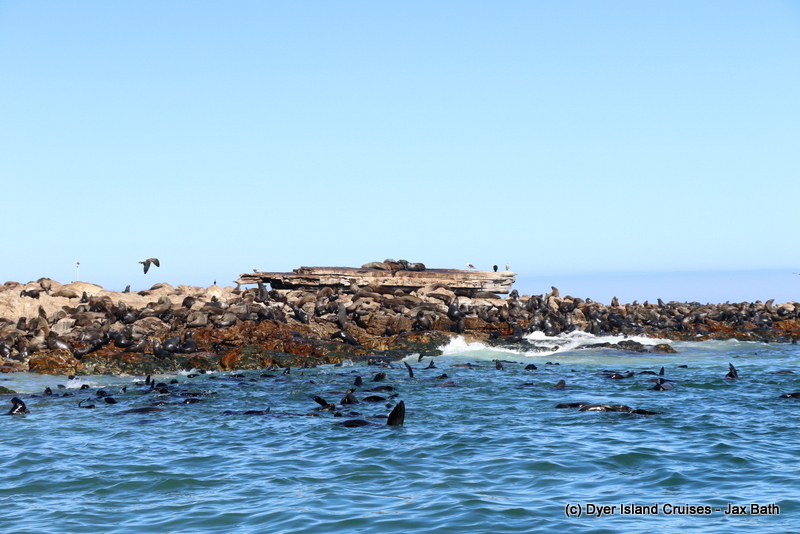 after showing off our most abundant sea plant, we found some African Penguins in the water and spent some time checking them out before making our way into Sponge Bay to spot some more African Penguins. 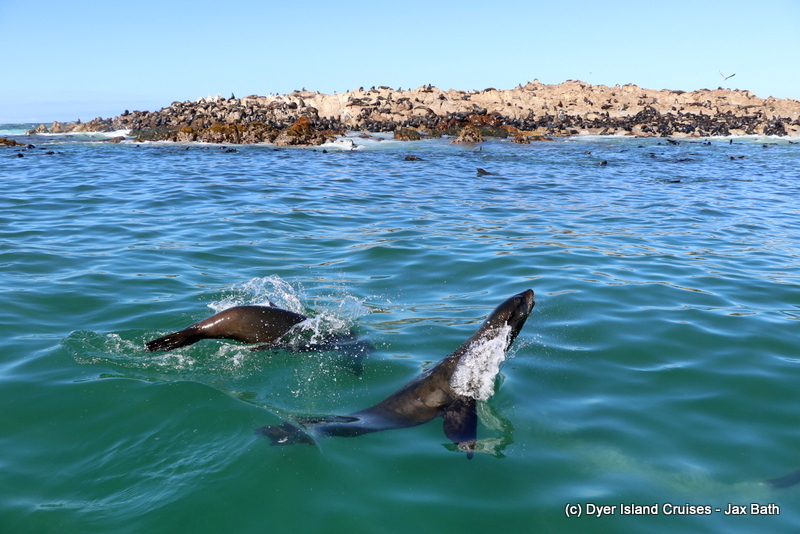 We finished off our tour by cruising up and down Shark Alley to see what our Cape Fur Seals were up to. 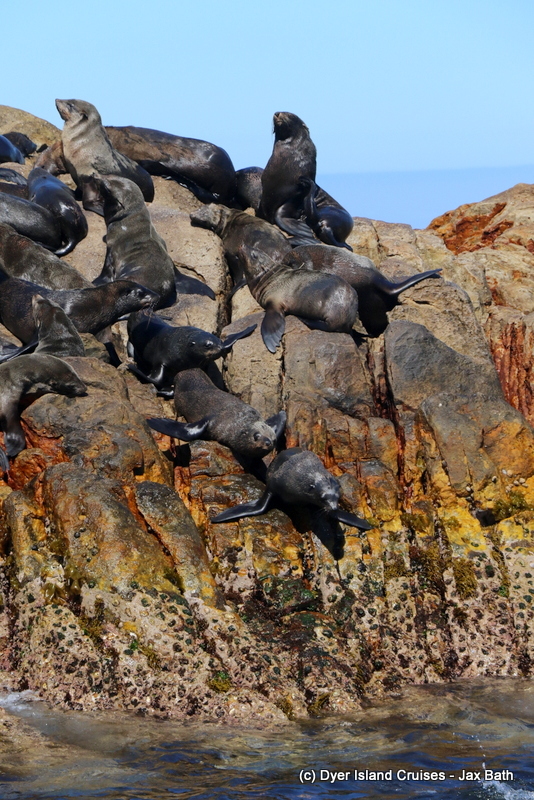 Seals relaxing on Hospital Rock. A naughty little seal shows off. We had lots and lots of jumpers today. The ever picturesque Prince Port. 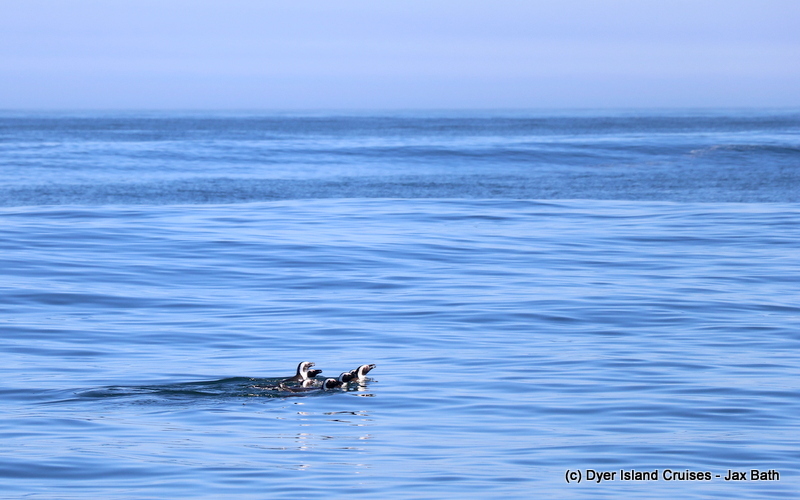 We found lots of penguins on our way back into the harbour. 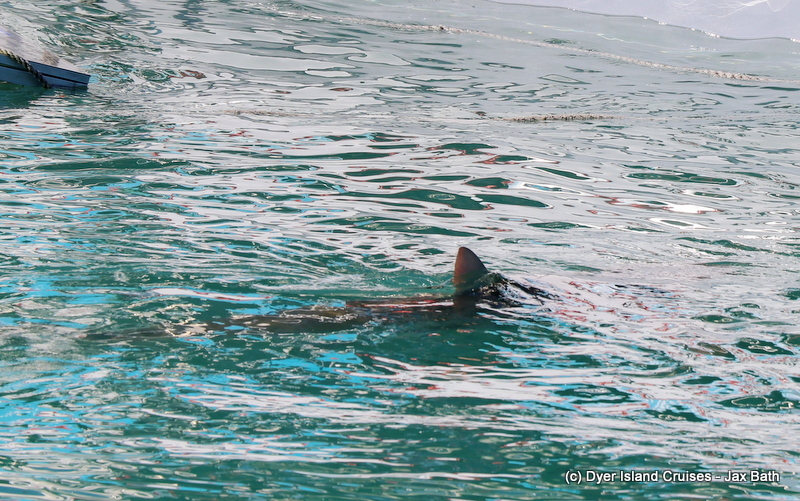 A Copper Shark just breaks the surface. 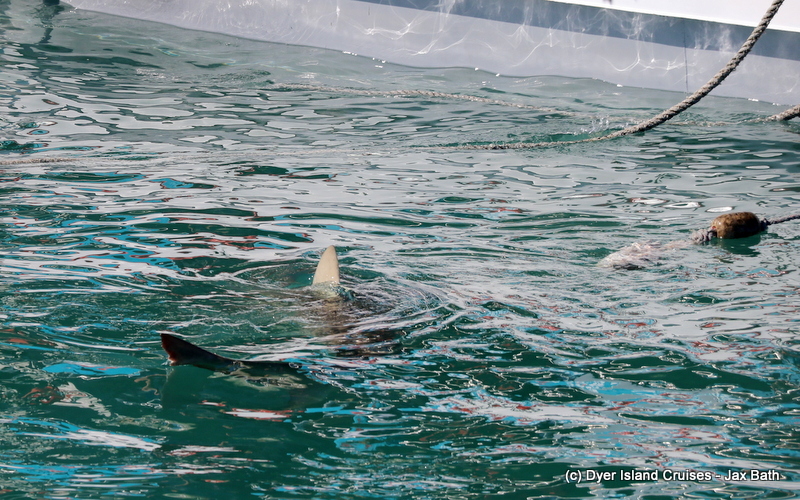 After having a look at the lure, the Copper Shark turns away. Enjoying the sea and surf. 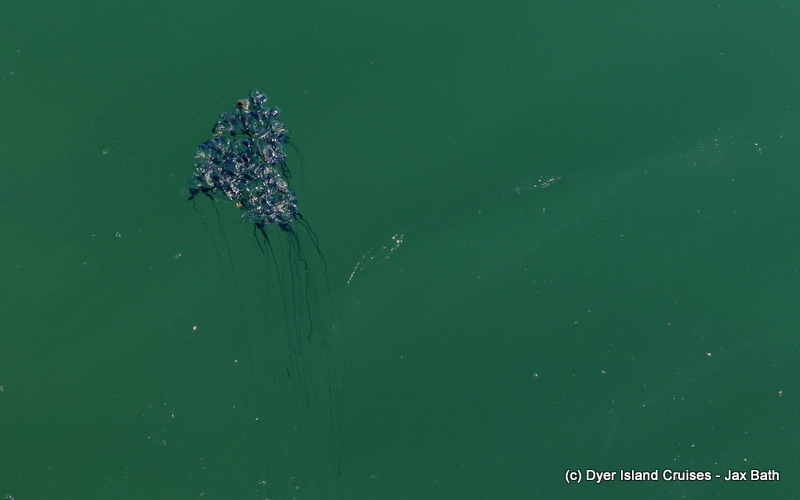 It was interesting to see lots of Bluebottles in the water today, these colonies are usually brought in by strong winds. 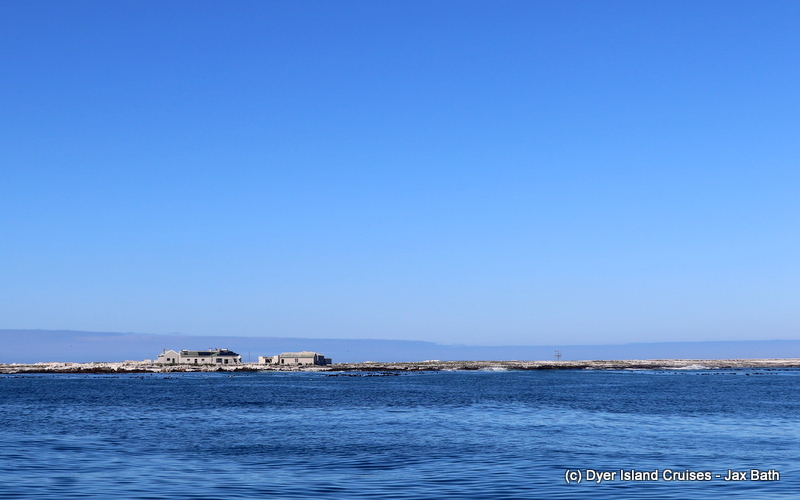 Dyer Island on a perfect day. 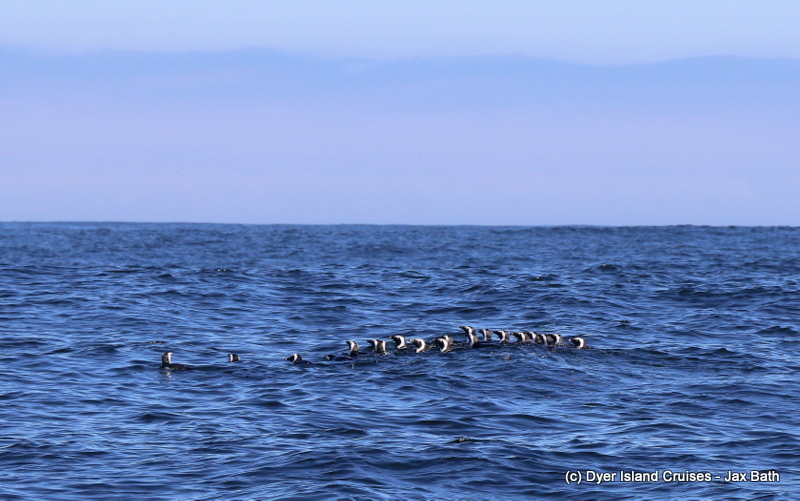 A raft of African Penguins heading out to do some fishing.